The Welsh Room highlights the storied history of the Welsh people of the Slate Belt and their contributions to the slate industry. This exhibit is one of just a few in the United States. The room contains rare photographs of Welsh American significance highlighting North Wales, the immigration to the Slate Belt, and life in its Welsh communities. This unique photographic history illustrates the Slate Belt’s Welsh people, the impact of their activities on the culture of the area, the 30 year celebration of Bangor Welsh Day, and the importance of Welsh churches in the Slate Belt. 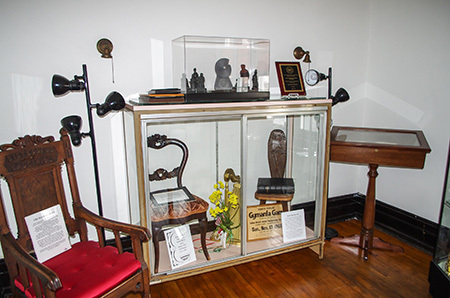 Numerous artifacts of Welsh origin can be viewed including a Welsh spinning chair, a Welsh wool blanket, books, and other memorabilia. A collection of rare wooden patterns used in the Flory Foundry to create cast iron implements required in the slate industry, are carefully arranged in the rooms alcove. Tall displays encase items from Welsh immigrants and advertising items from Bangor merchants. An exquisite fireplace, located at the museum, is an outstanding example of the slate marbleizing process used in the quarries until World War II. 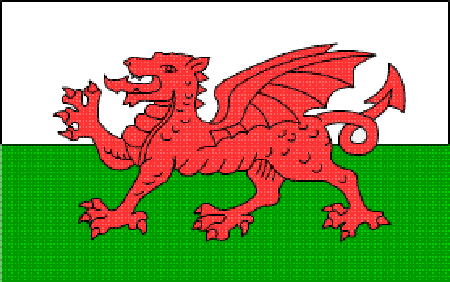 All visitors will receive a list of genealogical resources to trace their Welsh American roots.